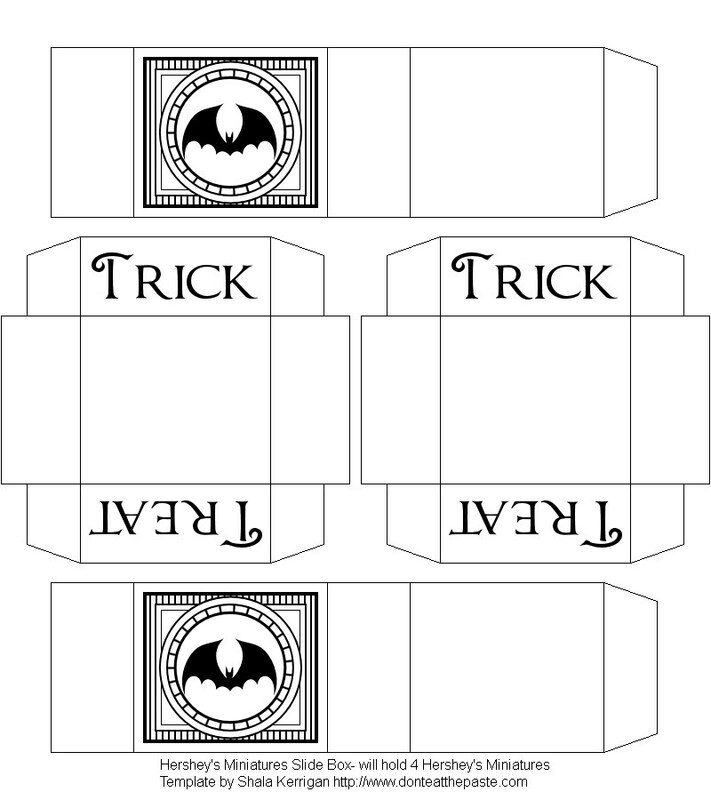 Don't Eat the Paste: Halloween Bats- slide boxes! 'Tis the season to be spooky! Little slide boxes, like the ones for the Andes mint boxes, except these are sized for Hershey's miniatures. 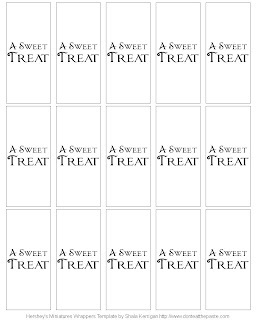 Click on the images for the full sized 100 ppi versions. 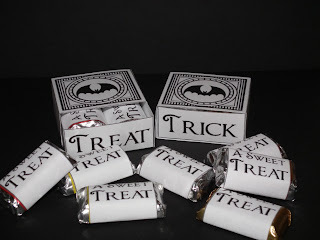 The boxes are printed on card stock, and the wrappers are printed on paper. 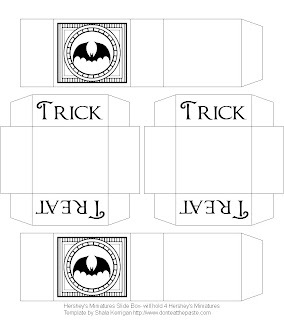 Check the labels for more bats and other Halloween printables. You can get the blank template from my Etsy shop. 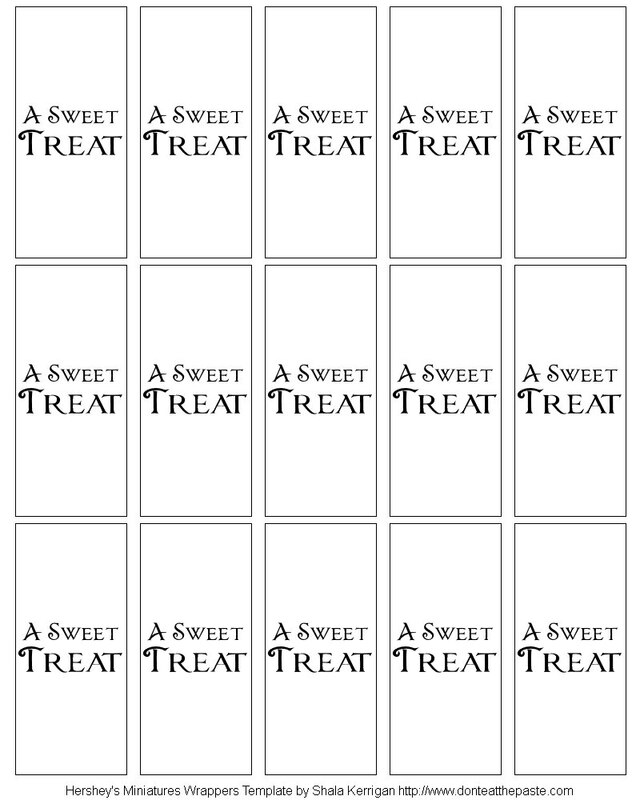 There is also a slide box template for Andes Mints available there. These are the cutest things ever! Thanks so much, I'll be linking. So cute!! Thank you for sharing! Wow, these are terrific! Thanks for sharing. This is the best blog I've seen in a while. Thanks so much.